reversal). Spare and beautifully illuminating. A marvelous collection from "the greatest living writer of short stories in the English language" ("The New Yorker"). Four-time winner of the O. Henry Prize, three-time winner of the Whitbread Prize, and five-time finalist for the Man Booker Prize, William Trevor is one of the most acclaimed authors of our time. Over a career spanning more than half a century, Trevor has crafted exquisitely rendered tales that brilliantly illuminate the human condition. Bringing together forty-eight stories from "After Rain, The Hill Bachelors, A Bit on the Side," and "Cheating at Canasta," this second volume of Trevor's collected fiction offers readers "treasures of gorgeous writing, brilliant dialogue, and unforgettable lives" ("The New York Times Book Review"). 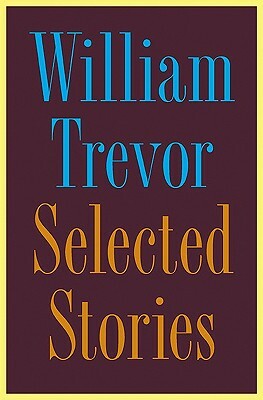 William Trevor is the author of twenty-nine books, including Felicia s Journey, which won the Whitbread Book of the Year Award and was made into a motion picture. In 1996 he was the recipient of the Lannan Award for Fiction. In 2001, he won the Irish Times Literature Prize for fiction. Two of his books were chosen by The New York Times as best books of the year, and his short stories appear regularly in the New Yorker. In 1997, he was named Honorary Commander of the British Empire. He lives in Devon, England."